Regime Superman and Cyborg look over the list of escapees from the Trench. Wonder Woman interrupts them, and has a private conversation with Regime, reminding him that he needs to work with the League and not shut others out. A man in Ingolstadt, Germany befriends a stranger, who happens to resemble Superman. Bane and Killer Frost set a trap and capture Catwoman. They then take Catwoman for interrogation, i.e. torture, in an effort to gain the location of the Batman. Story - 1: A wee bit of entertainment would be nice, even the effects of the train wreck that this series regularly provides. 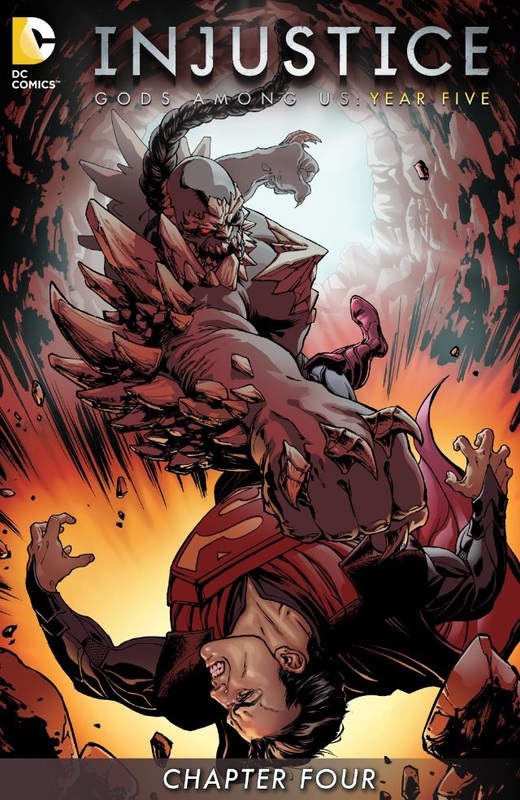 However, Injustice has, and a wee bit early this year, provided readers with a thoroughly unentertaining issue. Injustice normally receives regular pardon for lack of detail, plot movement, poor characterization, excessive use of banal tropes, etc., however, you can usually count on at least one polarizing moment to critique or be satisfied with. Readers are given nothing this time out. Catwoman's capture is a paint-by-numbers sequence, particularly with the knowledge that she will join the Regime this year (check the cut-scenes on YouTube). The conversation with Wonder Woman is static, and Cyborg never does anything in this regardless of what is going on. Injustice is many things, but it's usually entertaining. For those who like it, and for those who don't. It offers the effect of an explosion, leaving readers to decide whether or not it's a tragedy or "kewl". You may expect many things, but boredom isn't normally one of them. Here's to hoping that things are back on track by next issue. Art - 4: Miller's linework meanders through this issue, with the best rendering being the close-up of Regime and Wonder Woman... and little else.